Come get to know Dubspot LA during our Summer EDU sessions – two weeks of free music education with some of the finest music production, DJ, mixing and mastering, and sound design instructors in the world. Enroll before June 17th and save 10% off Dubspot LA courses! Free Classes, Workshops, and Course Previews at Our Introductory Los Angeles Event! Come learn about music production, mixing and mastering, sound design, and DJ performance during two weeks of free workshops in Hollywood, CA. 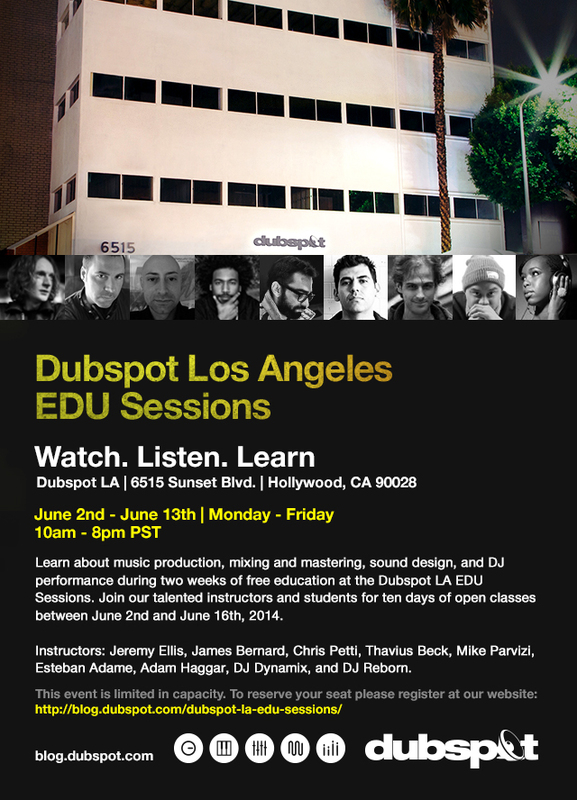 The Dubspot LA Summer EDU sessions will offer ten days of open classes between June 2nd and June 16th, 2014. Instructors Jeremy Ellis, James Bernard, Chris Petti, Thavius Beck, Michael Parvizi, Esteban Adame, Adam Haggar, DJ Dynamix, and DJ Reborn host classes Monday through Friday from 10am until 8pm. 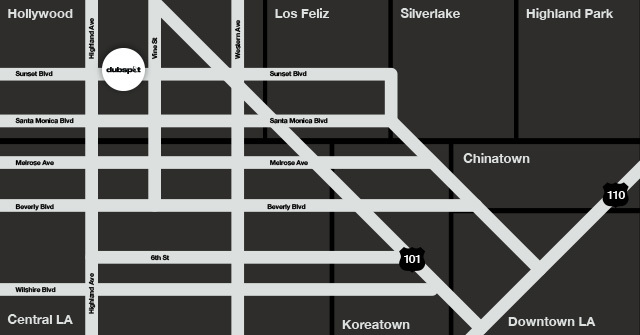 Workshops will take place at Dubspot LA, located at 6515 Sunset Blvd. in Los Angeles. This event is limited in capacity and admission is on a first come, first served basis. To reserve your seat please fill out this form.